The market has continued to improve through the first 9 months of 2015 with by far the most sales of any year since 2005. There were 472 sales through September of 2014 totaling $81,500,972. The first 3 quarters of this year had an increase to 562 sales totaling $108,964,370 in sales volume. These statistics above have been combined for the 3 areas discussed below in detail. Overall, things are very positive for the market as a whole. We are still seeing a fairly steady supply of new listings being placed on the market. We started the year with 590 properties on the market and haven’t fluctuated much with 577 properties currently listed. I’m surprised again that we still aren’t seeing a decline in overall inventory, which will lead to larger value increases. We continue to see record numbers of single family homes being built and another record setting year in visitors renting properties in the area. These are both huge positive factors helping the market. Interest rates are back near record lows and it’s been gorgeous this fall. Many properties are continuing to sell and an additional 73 properties are currently under contract. Mexico Beach/St. Joe Beach/WindMark: This market has seen the most sales with 228 closings and the 2nd highest volume with $40,450,155 closed through 9 months of 2015. Average selling prices of homes have gone up from $226,245 last year to $235,079 this year. Average lot prices have actually fallen from $79,237 to $63,459. I don’t think this is necessarily a fair comparison on vacant lots as it’s mostly a result of more people buying the less expensive interior vacant lots that were still on the market that are 3-4 blocks from the beach combined with the lack of availability of many higher value premium lots. 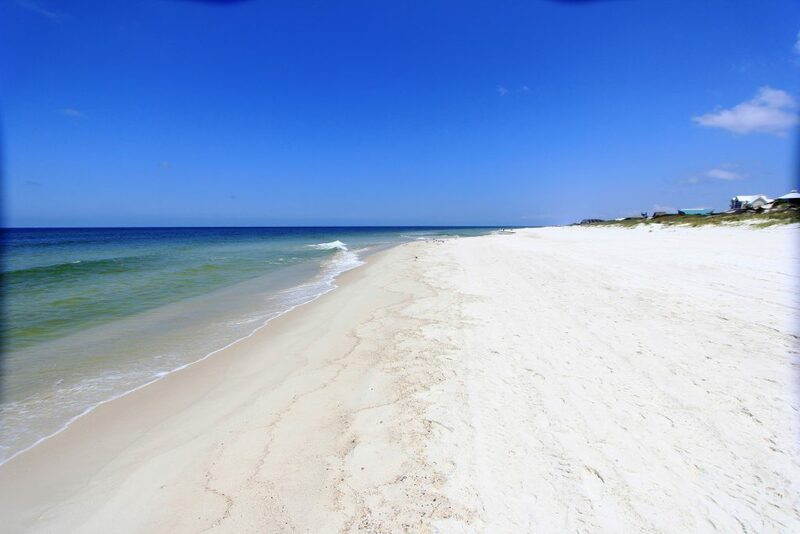 Mexico Beach is seeing the most action out of these sub areas with $27,093,655 in sales. Gulf view condos and newer single family homes have really been hot items in this segment. St. Joe Beach and Beacon Hill have combined for just over $10 million in sales. People have been continuing to buy depressed lots in WindMark which has seen a significant amount of building. 14 properties totaling $2,216,100 have sold in WindMark this year with 2 of these being homes and the remainder as vacant lots. All of the quality homes being built there have got to help their overall outlook, but WindMark lot prices remain very depressed. Check out The Top 25 to see my favorite deals available. Here’s a link to all 212 properties listed. Port St. Joe: This market is primarily driven by full time residents, and they’ve seen a nice rebound in the middle class market. Average selling prices of homes have gone up from $138,246 in 2014 to $152,594. There are very few quality homes left under $200K, and many buyers still looking to purchase. This market has had 127 sales and $15,947,345 in closings this year with the most popular areas being near the bay, schools, newer subdivisions, and areas within walking distance to downtown. The market sales volume has more than doubled compared to the same period last year when there had been only 77 sales totaling $7,764,545. There hasn’t been a significant amount of new building, but we have seen some and average lot prices have gone up from $18,626 to $27,553. The higher end market has been the only disappointing component of this market with our company making the only sale so far this year over $360K. 75 of the 96 homes that have sold this year closed at $200K or less. Prices are certainly improving in general and are up well from the lows of 2012 when the average selling price of a home was $108,743. There are currently 106 properties on the market. Cape San Blas/Indian Pass-CR-30A: $51,941,970 in sales volume through just 9 months shows how well this market is performing. Average selling prices of homes are up another $20K since last year with the average now at $398,154. Average lots prices haven’t changed much and are still in the $127K range. However, we have seen a stall for increases in lot prices on certain areas of the South End of the Cape and Indian Pass. The North Cape remains far hotter than any other area we cover and is continuing to see larger increases in value. $31,061,420 of the sales volume is from just this small area. The average selling price of a single family home has increased all the way from $464,803 in 2014 to $602,378 for 2015. The North End is also continuing to see the most building as well as the highest rental rates in the area. Here’s a link to the 259 properties currently on the market. You can see by the MLS stats that there has been tons of buying in our area. 98 Real Estate Group has been doing well, and we currently rank #1 in the Mexico Beach-WindMark market, # 4 in Port St. Joe, and # 5 on Cape San Blas/Indian Pass. It’s a competitive market with 35 brokerages selling property in the area, and we do feel very fortunate for our success. We are well ahead of schedule to have our most productive year as a company since opening in 2011. We have now eclipsed $100,000,000 in sales volume. I’m proud to say we are also growing and have added 3 new agents since my last update in July. Our team is up to 14 agents, and we now have agents that specialize in all of the different areas that comprise Gulf County and Mexico Beach.